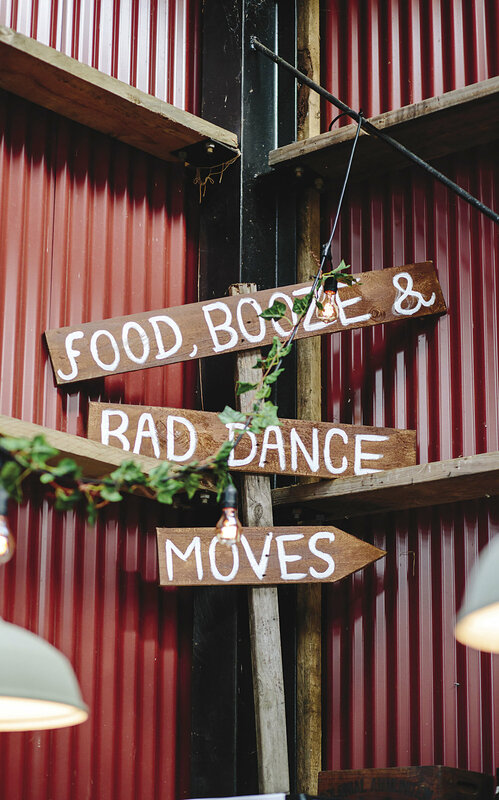 ‘As soon as we arrived at Jonkers Farm, we knew our search for a venue was over – the farm had been in the Jonkers family for almost 100 years and had a really special feel to it and a natural beauty, so we wanted to tie the look and feel of the day to that. The décor was simple with lots of foliage, greenery, and some wooden pieces, while the shed was decorated with candlelight (and more foliage!) to create an intimate feel for dinner. At dinner, our guests enjoyed a buffet-style menu. Savoury meatballs and salmon blinis were served as an entrée, followed by prawn cutlets, lamb steaks, and an eye fillet platter as the main course. Dessert was cheese platters and our wedding cake (coffee with a salted caramel icing), which was gone so quickly that Liki and I didn’t get the chance to grab a slice! My ceremony dress was a very traditional longsleeved lace gown with a mermaid skirt and a long heavy train. By the end of the ceremony I had twigs through my train and was so thankful I had a change of outfit coming up! My reception dress had a fitted silhouette with long sleeves, a sheer back and a minimal train, which I was very glad for when we were on the dancefloor! We had three wedding events, which turned into a wedding week instead of just our wedding day. 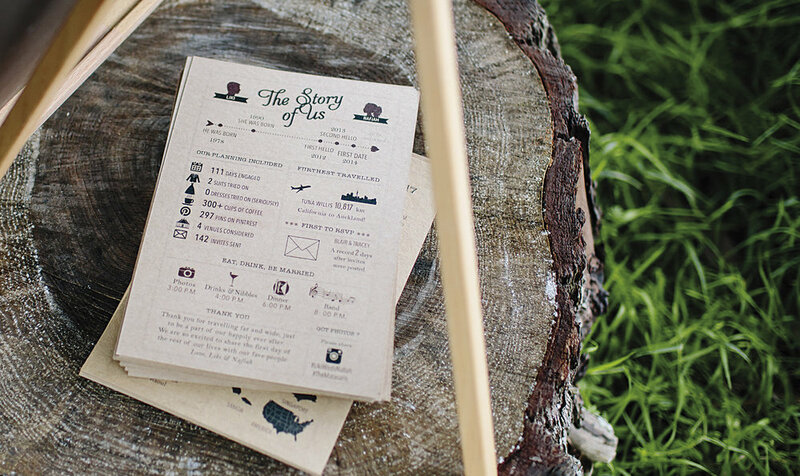 Coming from two different cultures, religions and backgrounds, our families worked extra hard to put on really meaningful events in the days leading up to our wedding. 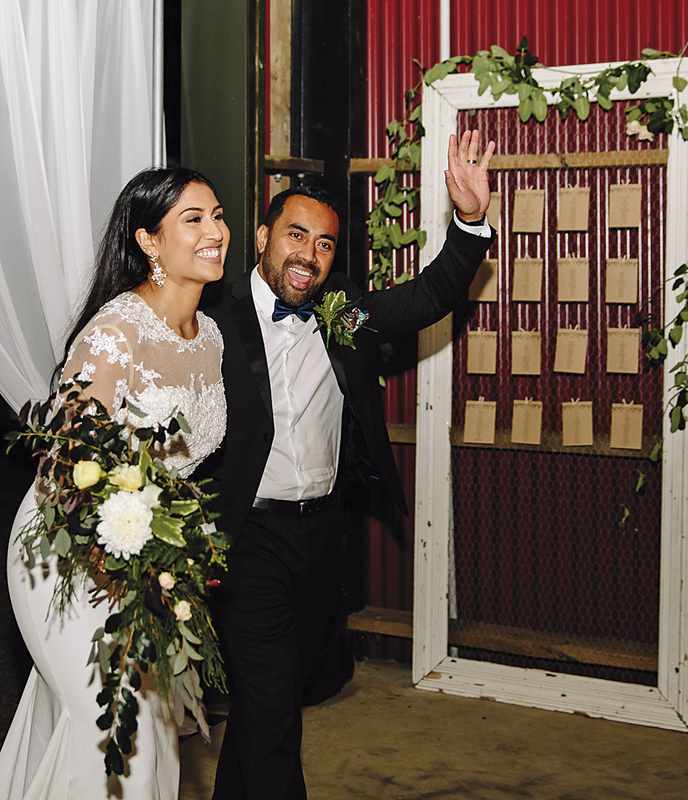 With Liki being Samoan and brought up as Catholic, his family hadn’t had much exposure to Indian cultural traditions that happen in the lead-up to a wedding. We had a ‘henna night’, a celebration filled with colour, music, dancing, and lots of food. Traditionally, the women on the bride’s side of the family celebrate it, but we had all our family and friends attend so that everyone could experience the cultural aspects involved. The women had intricate henna designs applied to their hands to symbolise happiness, blessings and good luck.